REAL MADRID star Cristiano Ronaldo is being tipped to join Paris Saint-Germain in the summer by bookmakers BetStars. Cristiano Ronaldo admitted this month he would not be signing a new deal with Real Madrid, leading to reports he is on his way out. The 32-year-old's current deal runs until June 2021 but he is said to be growing increasingly frustrated at the Bernabeu. Issues regarding how his tax was handled and a long-standing feeling he is not valued at the club have reportedly led to him wanting to leave. And bookmakers BetStars have made him favourite to join Ligue 1 big-spenders Paris Saint-Germain at 3/1. The French club have already nabbed Neymar from Barcelona and Kylian Mbappe from rivals Monaco this summer. And it seems Ronaldo could be the next superstar on their wishlist as they look to further strengthen their side. 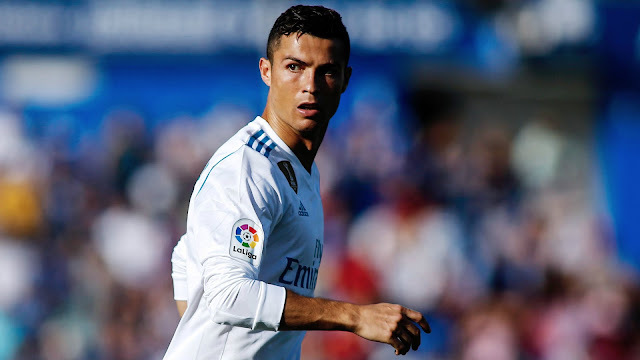 "PSG are leading the charge to sign Cristiano Ronaldo after the four-time Ballon D'Or winner expressed a desire to leave Real Madrid," BetStars Director Ian Marmion said. "The Paris club may look to add another superstar to their ranks and have been priced as the 3/1 favourites to bring the 32-year-old across to the Parc des Princes. "Ronaldo's former side, Manchester United, are the second favourites to sign the Portuguese star and are priced at 4/1. "Ronaldo to sign for any MLS side is priced at 7/1, while a return to former club Sporting Lisbon has been priced at 8/1 with BetStars." When quizzed about a new contract at Real Madrid, Ronaldo told BeIN Sports earlier this month: "I don't want to renew. I don't want to renew. "I'm very happy with the contract I have. I don't want to renew."